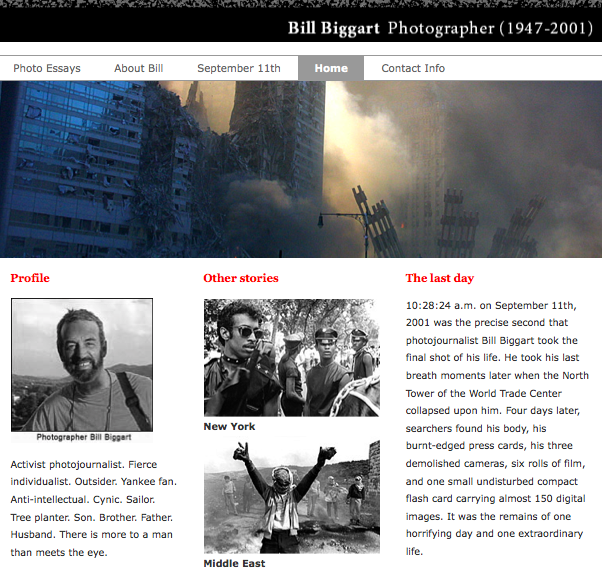 Photojournalist Bill Biggart died on 9/11 while shooting photos beneath the World Trade Center. His body and digital camera card were found under the rubble. This website shows his final photos and honors his life. I was honored to write it.